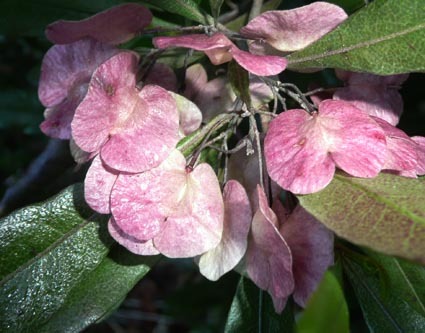 The Dodonaea genus is in the Sapindaceae family and has about 70 species mostly in Australia. 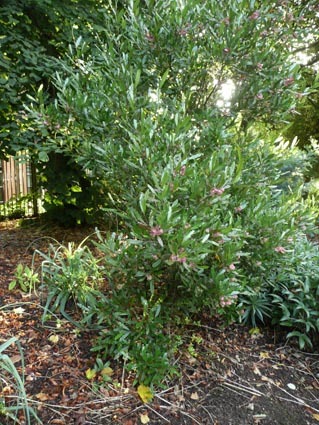 Dodonaea viscosa is the only species seen in cultivation and is fairly rare. It can form a tree up to 9m, but is more usually seen as a shrub. 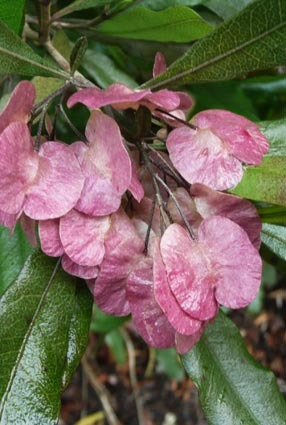 The leaves exude a resin and are sticky and strongly scented - hence the latin species name viscosa which means sticky. The hopbush is grown here for its coloured fruit capsules in late summer, but in Australia it has had numerous uses. 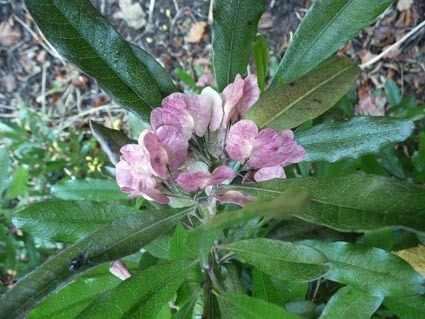 The wood is exceptionally tough and there are many reported medicinal properties of its leaves. The early Australian colonists used the leaves to flavour beer in the absence of European hops - hence the name hopbush.